Lakshmi Vilas Bank shares were locked in the upper circuit for the third straight trading day. 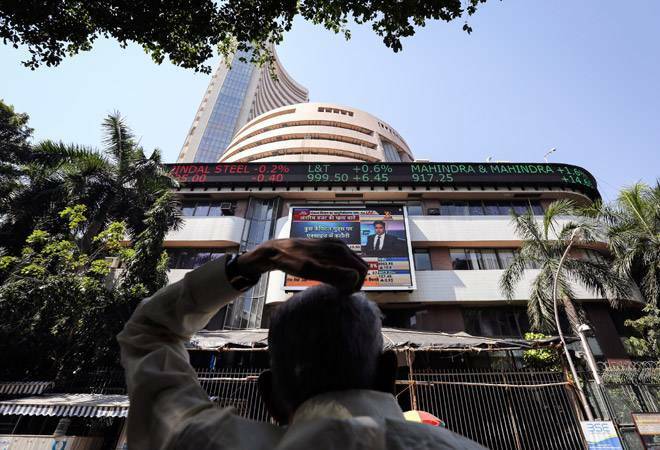 Shares of Lakshmi Vilas Bank (LVB)- a Chennai-based bank-rose almost 5 per cent to Rs 97.35 on the BSE on Monday after the private sector lender announced merger with non-banking finance company Indiabulls Housing Finance (IHF). According to the terms of the deal disclosed, its board approved a scheme of amalgamation with Indiabulls Housing Finance in a proposed share swap deal, which implies that shareholders of LVB will be entitled to 14 shares of IBHF for every 100 shares of LVB. Lakshmi Vilas Bank shares were locked in the upper circuit for the third straight trading day. After opening with a gain of 4.96 per cent, the stock touched an intraday high of Rs 97.35. The share hit day's high of Rs 97.35 on BSE, which is the same as the day's low and opening price against the previous close of Rs. 92.75. The stock closed at Rs. 97.40, 4.96 per cent up on NSE. More than 33.9 lakh shares and 7,379 shares changed hands on NSE and BSE, respectively. Contrary to this, shares of Indiabulls Housing Finance lead the top index losers list after the merger announcement. The share price opened 1.8 per cent below the previous close of Rs. 903.15 and touched an intraday low of Rs 866.75 diving 4.03 per cent. A total of 219.15 lakh shares have changed hands on NSE and around 12.68 lakh shares on BSE, respectively. As per the investors' presentation submitted at the bank's website, all the staff and employees of LVB shall become the staff and employees of IHFL, without any break or interruption in services and on same terms and conditions on which they are engaged by LVB. The filing added, " Transaction would be subject to the approval of shareholders of the Bank, shareholders of the HFC, lenders to the extent required, RBI, CCI, NHB, SEBI and Stock Exchanges, NCLT and any other regulatory authority as may be required."